Kale is one of the hardiest members of the cabbage family. Kale is often eaten raw in a salad, sautéed in olive oil, braised in a flavorful stock, added to soups and stews, baked into kale chips or blended into a morning smoothie. Select kale with crisp and brightly coloured leaves. 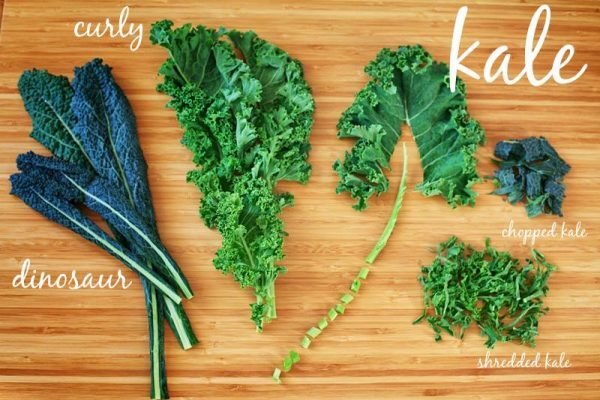 Avoid kale that is browning, turning yellow, or limp. There are several varieties of kale; the most common you’ll find is curly leafed kale and dinosaur kale. 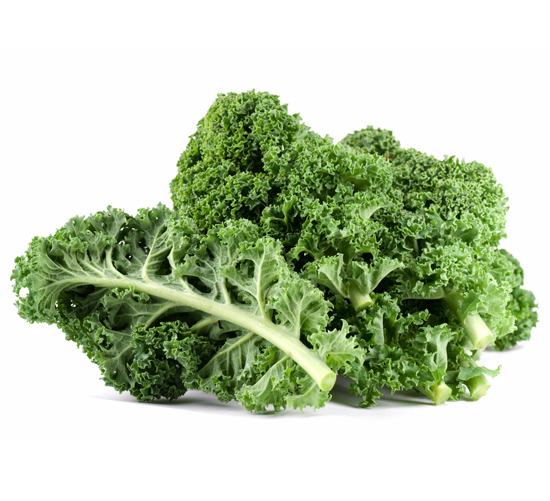 Curly kale is course, thick, has tightly curled tough leaves with a flavour that is slightly stronger than dinosaur kale. Dinosaur kale also called cavolo nero, black or Tuscan kale. Its leaves are spear-like in shape with an embossed, pebbled-like surface. Its flavour is slightly sweet and mild. When kale is stored tightly wrapped in a plastic bag in the refrigerator it can last for up to five days. Only wash kale just before you’re ready to use it, if kale is stored when it is slightly damp it will spoil faster. When preparing kale, you want to discard any yellow or wilting leaves. Because kale has many crevices within the leaves, you should soak them in a cold-water bath in your sink or a large pot, and swirl them around to get all the grit out. You may want to repeat this process twice. Once this is done, you want to remove the leaves from the tough stalk. The easiest way to prepare kale is to tear kale leaves from the centre stalk, then shred or chop the leaves. The stalks can be chopped into ¼ inch thick pieces. Kale can be prepared in a variety of ways, including blanching, boiling, braising, sautéing, steaming, and stir-frying. Also, try adding chopped kale to a soup, stew or your favourite juice blend for a healthy green juice. Kale can be cooked and enjoyed many different ways. 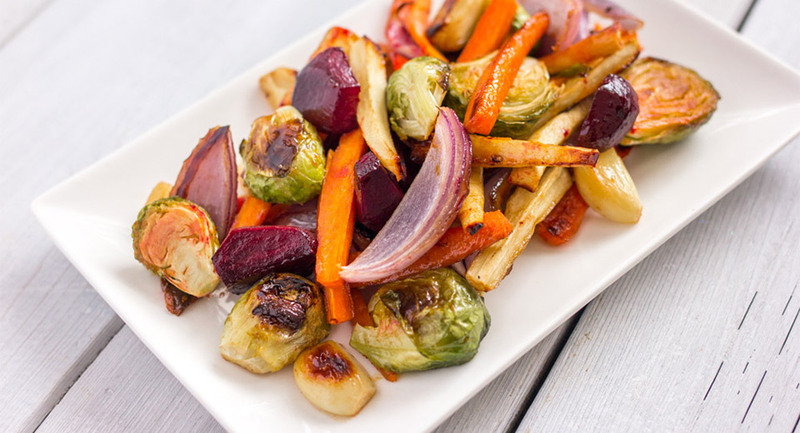 Try the following cooking suggestions, and add kale to your favourite dishes. How to Boil Kale: In a large saucepan bring a small amount of water (about 2 cups) and a little salt (1/8 to 1/4 teaspoon) to boiling. Add 12 ounces torn kale. Return to boiling. Reduce the heat and simmer for 20 to 25 minutes or until tender. Drain. How to Steam Kale: Rinse kale in a large bowl of warm water, place in colander, drain. Discard any discoloured leaves. Trim away tough stem ends, make a “V-shaped” cut at the stem end, discard tough stems. Kale should be steamed for 20 to 30 minutes, or until tender. How to Sautee Kale: In a large skillet heat 4 tablespoons of olive oil. Add 12 ounces of torn dinosaur or curly kale. Cook, covered, for 1 minute. Uncover, and cook and stir for 1 minute or just until wilted. If desired, season with salt and pepper and add a squeeze of lemon juice. How to Make Kale Chips: Preheat the oven to 300 degrees F. Line a large baking sheet with parchment paper. Place 2 cups of torn kale leaves on the prepared baking sheet. Brush with 1 tablespoon of olive oil and sprinkle with ¼ teaspoon salt. Bake for 20 to 25 minutes or until crisp. How to Freeze: Blanch kale leaves for 2 to 3 minutes, or until the leaves become slightly soft. Store in an airtight container and store in the freezer for up to 6 months. Want to have cooked kale on hand year-round? Cook a double batch and store half in the freezer for up to 6 months. Smaller leaves are tender compared to larger leaves, making them perfect for salads. Try chopping kale into thin ribbons for a salad, it looks fancy and makes the kale easier to eat. To maximize nutrition and flavour, steam kale for 5 minutes. Blanching kale in salted boiling water before using will tenderize and reduce any bitterness. Kale makes a great snack too! After you’ve cleaned and dried your kale, tear it into bite size pieces, toss with a little olive and salt, and bake until crispy. 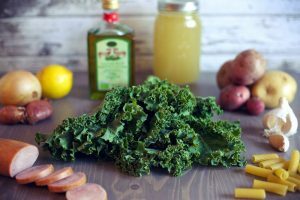 Kale is quite hearty, so if you are using it in a salad, it is a good idea to drizzle with oil or dressing and “massage” the leaves for a bit to soften them before serving. Bonus to this, is that your kale salads can last as leftovers the next day – even dressed! What Does Kale Go Well With? Garlic, yellow onions, red pepper flakes, tomatoes, lentils, lemon, sausage, salt, chicken stock, sausage, ham, and thyme. Kale is a great addition to many soups and stews, and is a hearty addition to smoothies and salads. 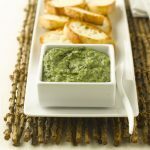 Kale is delicious dressed in a sauce or pureed on its own or with potatoes. Kale is an excellent source of vitamin A, vitamin C and potassium. It is also a good source of vitamin B6, copper, folic acid, calcium, iron, thiamine, riboflavin, niacin, and zinc.